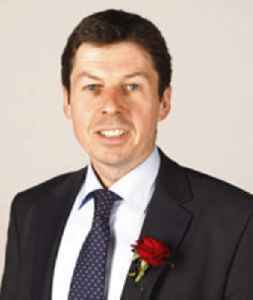 Kenneth Donald "Ken" Macintosh is the Presiding Officer of the Scottish Parliament and an MSP for the West Scotland region. He was first elected in the 1999 Scottish Parliament election as a Scottish Labour Co-operative Party candidate, and retained his seat of Eastwood in the 2003, 2007 and the 2011 elections, but lost it in the 2016 election. In that election, he was returned on the regional list.